Colors = large and small pressed beads of rich flame to ruby reds in glossy rainbow and frosted finishes plus the complement red Bead Gravy. 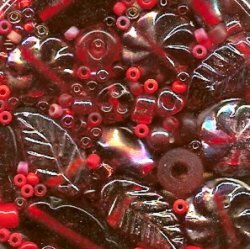 Roasted shades of pepper reds will add spice to any beaded project, so sprinkle a little in your next creation or consume the whole package. 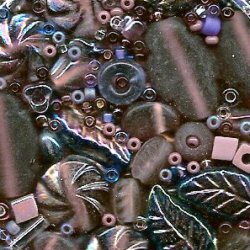 Colors = large and small pressed beads of medium to dark cool amethyst in rainbow or matte finishes, purple iris, opaque violet and the complement Bead Gravy. Our most popular Soup color, this cooling smooth concoction will stand alone, or mixes deliciously with Red Pepper or Foamy Azure. 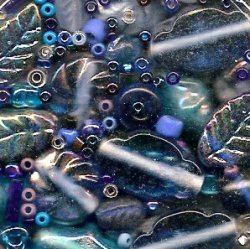 Colors = large and small pressed beads of light pure blues to night-sky cobalt blue in rainbow and matte finishes, blue iris, and the complement Bead Gravy. Nope, there really isn't an appetizing blue soup in the culinary world (could you actually eat it? ), but here we'll think of this as bowl of arctic chill. 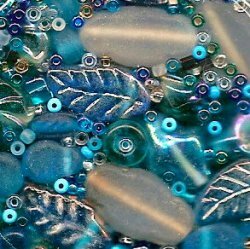 Colors = large and small pressed beads of frosted clear, light aqua blue to dark aqua plus greeny teal in transparent, rainbow and matte finishes, and the complement Bead Gravy.  This oceanic Soup leans toward the brighter blue tones with an undercurrent of green, very suitable alone yet quite easy to blend with Slice of Ice or Brilliant Pea. 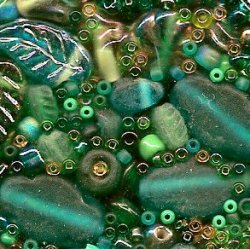 Colors = large and small pressed beads of light to dark shades of warm greens, cool wintergreens to deep hunter in transparent, rainbow and matte finishes, and the complement Bead Gravy. Color like fresh peas right out of the pod, this green variety will dish up kindly to near every Bead Soup color.